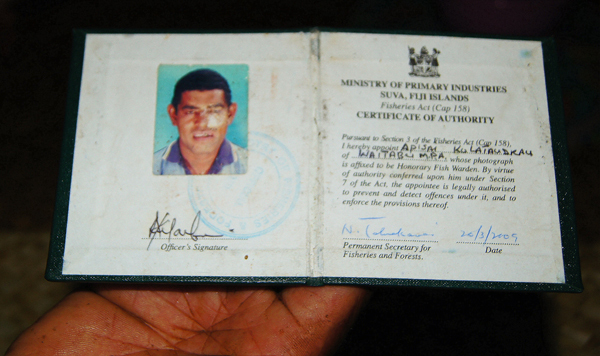 Will Fiji implement a much-needed update to its fisheries laws before the September election? If you want to quiet a room in Fiji or feel like a lobster in a boiling pot, bring up coastal fishing rights, and ask what’s happening with the plan to update the country’s fisheries laws. In September Fiji will hold its first election since the 2006 bloodless coup. That coup was partly inspired by fears of the government passing several pieces of legislation—including a contentious coastal fisheries bill that sought to transfer full legal ownership of the qoliqoli (fishing grounds) from the state to ethnic Fijians. These indigenous Fijians comprise a little more than half of the population, and don’t own the reef but currently have the legal resource rights to fish in their qoliqoli. So many feared the legislation would exacerbate a racial divide with the other major group in the country, the Indo-Fijians (just under half the population), who don’t own the resources. The legislation also raised concerns within Fiji’s powerful tourism sector, whose total contribution is a third of the GDP. They believed the bill could pose access problems for recreational activities like swimming or diving. Spearfishing off the reefs of the island Ovalau. 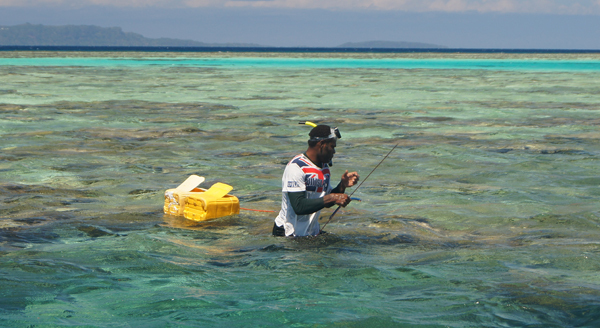 Fishing solo with a spear is legally allowed in all areas of Fiji, even the locally protected ones. Photo copyright © 2014 Amy West. In fact, many declined to talk about the subject for fear of losing their jobs, being detained, or being kicked out of the country. Meanwhile, a growing population demands more fish and globally expanding markets have caused middlemen with boats to move in. To make matters worse, climate change and poachers pose enormous threats. As a result, high-valued sea cucumbers are missing from some areas, large fish are rare, and patches of reef are losing the war to algae and reef-eating starfish. The official document carried by a voluntary fish warden of Waitabu village to legally detain poachers if caught violating license rules. Photo copyright © 2014 Amy West. All fishing regulations fell under the Fisheries Act [Cap 158] , which was recently split into three to address different sectors. The Offshore Decree was finally enacted in 2013 and the Aquaculture Decree is still in vetting stages. The third is the Inshore Fisheries Decree, which governs Fiji’s coral reef fishery. A consultation on the latest draft of the Inshore Fisheries Decree with scientists officials, lawyers, and NGOs to advise how to update the law without changing marine tenure, occurred four years ago. Aside from swirling rumors, the status of that decree is a mystery to most. Some Fijians mistakenly assume it’s a new guise for the past coup-inspiring bill. 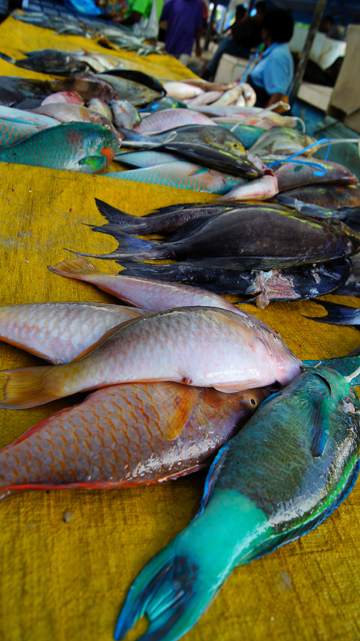 Middlemen sell bundles of parrotfish in local markets that may have been caught with or without a license. Photo copyright (c) 2014 Amy West. Despite these legislative obstacles, concerned Fijians still endeavor to manage their reef ecosystems at the grassroots level. Indigenous Fijians belong to one of 410 nationally recognized qoliqolis. As the main coastal caretakers, locals can allow or deny commercial fishing in them. Historically, villages cordoned off portions of their fishing grounds as a temporary marine reserve to honor the death of a chief or protect sacred areas. This long-standing cultural practice fit as management tool when Fiji formally developed their Locally Marine Managed Area (LMMA) network in 2000. 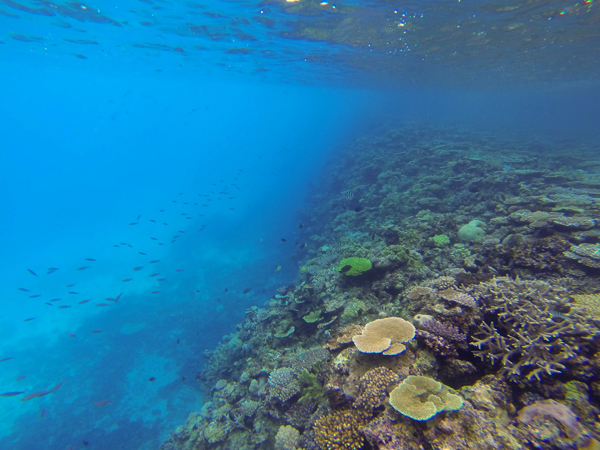 Today, Fijians have created more than 400 of these protected zones, or tabus, by co-managing with government, local, and international organizations. While this amount of protected ocean turf may help the country reach a goal of protecting 30 percent of its ocean real estate by 2020, it has not brought about abundant fish populations. There are a number of reasons why. One, is that these tabus are targets of poachers, and not always respected by communities; when there are bellies to feed, not everyone abides by the rules. Moreover, tabus are typically small (around one square kilometer), generally closed for only three to five years, and often opened at the whim of a chief or church leader calling for fundraisers, which can wipe out years of protection in a single harvest. In fact, the highly popular dive destination, Namena Reserve (a larger and longer preserved tabu), was briefly opened to fishing after 11 years of voluntary closure when a high chief died in 2008. Seven hundred kilograms of fish were pulled from Namena, but due to the reserve’s size, it did not suffer like smaller closures normally do. Furthermore, this reserve and other tabus are not legally protected by national legislation. Tabus are only customarily recognized, thus making legal enforcement tough. 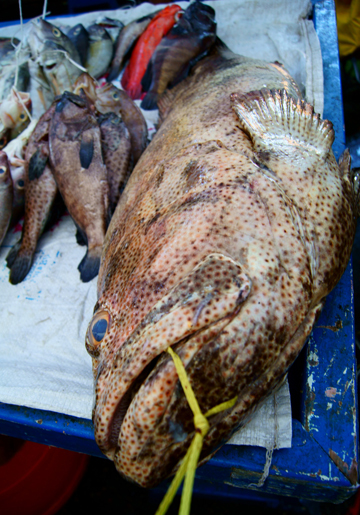 A license and a chief’s consent are required by anyone fishing in a qoliqoli who sells or trades their catch. This license can also specify the marine protected areas to avoid if a chief knows to put in such stipulations. But there’s nothing like that for subsistence fishing— a long held tradition that is tough to define in a modern context. Marine reserves banning all forms of fishing have not been entirely successful in managing fisheries for many developing countries. “People can still fish for subsistence legally with certain gear types anywhere in Fiji,” said Stacy Jupiter of the Wildlife Conservation Society. This oversight, although unknown to many, effectively keeps villages from legally blocking all fishing activities in their marine protected areas. Compliance usually occurs because they respect a chief’s authority. The police, possibly unfamiliar with all the intricacies of fisheries laws, have been reluctant to penalize violators or impose trivial fines. 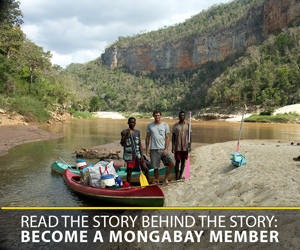 In addition, the village’s government-trained fish wardens, who are volunteers and typically without resources, can only bust poachers if they can catch them and prove they are disobeying licensing rules. Convictions are rare, and the negligible penalty amounts are not a strong deterrent from fishing illegally. The idea behind crafting the Inshore Fisheries legislation was to address these gaps and strengthen the coastal fisheries law. The latest draft proposed to do a few things: increase fines for fishing without a license from $500 to a minimum of $5,000, impose longer jail time, potentially tighten loopholes in subsistence fishing through permitting, and give an option for legal recognition of a communities’ management plan. To further complicate matters, two laws govern Fijians who choose to live in traditional villages: the customs within a village, and the national ones throughout the country. These customary and modern approaches can conflict with each other, for instance if inflicting punishment on poachers runs counter to national law. Furthermore, the political turmoil from the four coups since 1987 has kept environmental priorities on the backburner. Constitutions have been abrogated, or rewritten, with the most recent version from 2013. Remarkably, though, Fiji has preserved most of the government framework. Fiji aims to register all legal age citizens to vote- placing a kiosk even at the airport to catch those traveling or living abroad. By the end of March 2013 they had registered more than 500,000. Fiji hasn’t had a democratic election since the 2006 coup d’état. Photo copyright © 2014 Amy West. “The Fiji systems are there to protect sustainable resource use,” said James Sloan, a planning and environmental lawyer in Suva. It’s more about understanding how to use the laws correctly, he added. But, as it stands, Fiji’s Fisheries Department has some work to do. Last year, the audit by the independent committee criticized the Fisheries Department for lacking a management plan to protect coastal resources. In the years the committee reviewed, they found the department “lacked clear direction” on issuing permits or licenses for sustainable management, or enforcing license renewal conditions, which require fishermen to provide data on what they have caught. In addition, the committee stated that license fees (about $8) were laughable, and poor record keeping and missing data were helping to overexploit fisheries. Currently Fiji, which has a coastal fisheries zone of about 11,000 square miles, has just two officers in four regions devoted to this work. In essence, the department charged to manage coastal fisheries has no accurate record of how many fish are being taken out of their waters. The committee’s observation that Fisheries’ “lack of resources was notably alarming” is a common theme in other poor island countries where resource management is not at the top of the government’s budget list. If tasked with protecting an entire nation’s fishery, it’s impossible to do it without adequate staff, equipment and money. The 2013 budget for Fisheries was FJ$9.1 million ($4.9 million), though a majority goes into managing offshore species, such as commercially valued tuna. The vibrant reef life along Fiji’s coasts attracts tourists and locals alike. Photo copyright © 2014 Amy West. With most of the decisions to update laws taking place behind closed doors, many Fijians surmise this legislation may be too much of a wild card to push before Fiji’s monumental election in September. The Director of Fisheries said that it’s really about moving cautiously. “For any legislation to be in place or any amendment to the legislation, the only thing we have to do is get the full support of the very people that this law will apply to,” said Chand. But one has to wonder: wouldn’t an open discussion help stymie the fear? After all, it’s not legislation aimed to culturally divide the nation or affect ownership, but improve the outlook of Fiji’s entire coastal fishery on which the citizens heavily depend. The stakes go beyond Fiji. Protecting tracts of ocean real estate is truly a global battle that aims to provide for people now while providing for people later. Scientists and government are looking toward LMMA networks, such as the one in Fiji, as one element of a sustainable resolution. The South Pacific is the epitome of paradise to many travelers, and with tourism in the region largely dependent on healthy reefs and fish, finding the right approach to empower Fijian communities successfully, particularly with all its cultural complexity, could send ripples throughout other fishing-dependent nations. (06/23/2014) Redfish, Greenfish, Blackfish. Pinkfish, Curryfish, Lollyfish. They sound like Dr. Seuss characters and certainly look like they should be. Yet these sausage-shaped, rubbery animals stippled in fleshy bumps are not fish at all, but an invertebrate in the group that includes sea stars, sea urchins and sand dollars. Sea cucumbers, referred to as ‘bêche-de-mer’ or ‘trepang’ when sold as dried food have a high value – an individual in Fiji can fetch about $80 US.